This book examines the overlooked topic of the influence of anti-Bolshevik, anti-Semitic Russian exiles on Nazism. White émigrés contributed politically, financially, militarily, and ideologically to National Socialism. This work refutes the notion that Nazism developed as a peculiarly German phenomenon: it arose primarily from the cooperation between völkisch (nationalist/racist) Germans and vengeful White émigrés. From 1920-1923, Adolf Hitler collaborated with a conspiratorial far right German-White émigré organization, Aufbau (Reconstruction). Aufbau allied with Nazis to overthrow the German government and Bolshevik rule through terrorism and military-paramilitary schemes. This organization's warnings of the monstrous 'Jewish Bolshevik' peril helped to inspire Hitler to launch an invasion of the Soviet Union and to initiate the mass murder of European Jews. 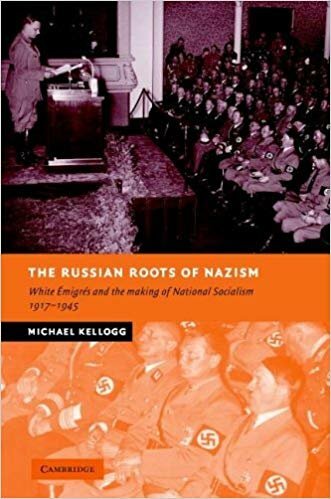 This book uses extensive archival materials from Germany and Russia, including recently declassified documents, and will prove invaluable reading for anyone interested in the international roots of National Socialism. [Format]: High-Quality True PDF. Compatible with all devices that have a free reading app installed. [Delivery]: Instant - Secure link to this digital media generated during checkout displayed on the payment confirmation page and email. THERE IS NO SHIPPING FOR THIS ITEM. DIGITAL MEDIA IS ELECTRONICALLY DELIVERED INSTANTLY.